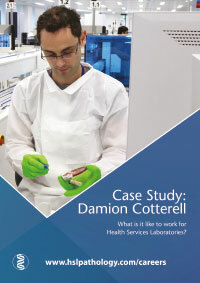 “Not in my wildest dreams did I imagine that, as a biomedical scientist, I would be at the centre of one of the most important pathology initiatives this country has ever seen. The development of the Halo, our new state-of-the-art laboratory, is being led by laboratory staff. Our new infrastructure will bring together disciplines that have historically been disparate. I know this is a once in a lifetime opportunity to reset the UK pathology landscape.” Michael Gandy, Translational Research Manager. Our intention is to provide world-class facilities and an outstanding working environment. Everything else is about you. If you share our dedication to making a positive difference to the organisation and people we serve, we would love to hear from you. We are looking for people who share our dedication to making a positive difference. We are strongly committed to ongoing professional development through our Faculty of Education and Training. HSL’s Faculty of Education and Training exists to ensure our workforce has excellent knowledge and skills and provides a focus to share learning with partners in universities and beyond. The Faculty of Education and Training has an expert group providing leadership and links to regulatory bodies and the institutions for higher education in London. This group has introduced e-learning for statutory training and developed a robust programme to support scientific staff members’ continuous professional development. 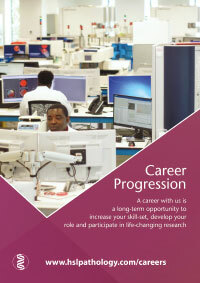 Trainee pathologists preparing to become consultants spend part of their time in HSL’s laboratories. Among the laboratory staff there are 55 undertaking IBMS registration portfolios, 22 taking MSc degrees and 11 preparing for the FRCPath examination. We provide a software solution to support all the training online and ensure wider access to flexible training opportunities.